There is much going on right now. I have spent the past few days being highly in tune with my body and the energy to be able to express, and explain the upgrades that are currently taking place. First, we had very intense geomagetic storms for 5+ days straight. These activate the tiny magnetite crystals in the brain and body firing them up. This in turn amps up the body heat. And this round of body heat is like nothing I’ve experienced in the past. The body feels as though it is on fire from the inside out and intense sweating is a body response to cool the body down. Crystalline light body activations continue with the DNA upgrades. I wrote about the beginning stages of the hormonal recalibration starting to take place one year ago. This has continued through the past 12 months with DNA/RNA upgrades tied to the hormonal system and grid within the body. I was taking bio indentical hormones administered by a holistic and homeopathic doctor for the past 15 years. When I had my second child 15 years ago I had a C-SECTION because she was a large baby. At the same time I also had a tubaligation performed as a method of birth control. Had I known then what I know now I would have never had this procedure done. In doing much research, and polling other woman who have also had this procedure done, I learned that when a tubaligation is performed it shuts the body’s ability down to produce progesterone, which in turn makes a woman estrogen dominant. This creates a whole host of problems revolving around the monthly cycle such as; heavy menstrual cycles to mention just one side effect. Also weight gain, flushing (chest and face being red in color). When one hormone goes out of whack in the body it creates a cascading affect that effects all other functionality of the other hormones in the body too. Many woman don’t know this and suffer in silence. For me personally, I was prescribed 200mg of bio indentical progesterone to counter act the estrogen dominance and it worked great for years. I no longer need to take it at all through the past year of upgrades. Many doctors have not even connected these dots that these surgeries create these types of hormonal side effects, and I have even had to educate my own doctor on this funny enough, and at the same time, not funny at all. Doctors need to express these side effects to woman, AND men that have these surgeries performed so they are aware of the complications they will experience, and can make an educated decision. I must also note that when a man gets a vasectomy his ability to produce testosterone drops drastically which affects; muscle mass, energy levels and erectile dysfunction. A testosterone supplement bio indentically administered by a holistic doctor is necessary to get back the quality of life one had prior to the procedure. However, with these hormonal shifts occuring over the past year, this “may” not be necessary any longer as long as one leads a healthy lifestyle with exercise and clean foods. To note, many prescription medications produce a side effect of erectile dysfunction too, so being educated on your potential side effects will assist you in putting two and two together when experiencing adverse effects. Last year was when my first hormone dosage adjustment took place due to the energetic upgrades taking place. This is when I first wrote about it in an Energy Report. I had to have the dosage lowered. 6 months ago I decided to try bio indentical hormone pellet therapy with estrogen and testosterone. This “converted” in my body to do the exact opposite it was meant to do. Thus I experienced a ton of adverse side effects. My blood work showed I “should” have this particular dosage, however once it was in my body a whole other process began taking place in “converting it to do the opposite”. Now I no longer take or need any hormones with the exception of Armour Thyroid, which has also been adjusted to a lower dosage over the past 6 months. Iodine doesn’t work for me as I need the TH3 & TH4 activated to function. My thyroid was non functioning for 17 years. This is a typical occurance that many RH negative blood types experience. An entire rewiring process has occurred over the past year to recalibrate the hormonal gridding system within. That includes all hormones (see below chart). Now, over the past three days I have experienced a heavy metallic taste in my mouth. (Note: I do not have any silver fillings in my teeth, I had them all removed due to Mercury vapor these produce.) I put out a poll below this Energy Report (Click Here to See the Poll) to see if others were also experiencing the heightened psychic ability of Clairgustance which is the psychic ability to taste things without putting anything physical in the mouth. As the body heat increases so does the metallic taste in my mouth even with brushing 3x a day and flossing. When the magnetite crystals fire up they burn off all that no longer is needed in the body, and allow the new recalibration and rewiring to take place. This also includes new neouro pathways connecting in the brain. The Thymus, Pineal, adrenals, pituitary and stomach have been really feeling this shift. A lot of stomach upset will commence with these shifts, and running to the bathroom is common as much toxicity/toxins clears the body. Some may experience a lot of gas with this. That includes flatulence, burping, and to me it feels like gas bubbles in the chest, where I have to drink something carbonated that will force me to burp.. then I experienced relief. This particular one is painful until the gas expels. The liver will clear too. You may be experiencing muscle and joint soreness, teeth, bone and skull soreness/sensations. This is where deep rooted programming lies within and the pain commences when these emotional wounds rise to be cleared and healed. This also happens when the body detoxes emotions and toxins. I also have to note that with the current heightening of clarigustance and these unsavory tastes, it is assisting many in kicking addictions. This would include food addictions, smoking and alcohol as these things that may have tasted good in the past no longer do. In fact they taste horrible and this assists in kicking the addiction. *The body heating up is continuing. *Having little patience or moodiness is normal with hormones shifting. Being easily agitated. *Needing extra alone time and down time to allow quiet bliss. *A craving to be out in nature and ground, or working with the plants, gardens, flowers; putting the hands in dirt feels Ahhhmazing. *A lack of sleep, or needing more sleep will be experienced. *When new neouro pathways connect a temporary side effect is getting caught in a thought repetitive loop and obsessively focusing on one thing. Thus not allowing you to be in the moment. It can cause “temporary” stress, anxiety, or depression. It will clear when the new connection occurs. Being mindful of this will help you surrender without many affects. *Increase in mucous secretions, coughing, blowing the nose and sneezing for maybe 5-10 minutes, then it stops. *Heart palps as the higher heart is expanding the reach of its electromagnetic field. Instead of the normal 3ft reach of the heart’s electromagnetic field, it is now up to 15-20 ft. (Think transmutation). *An increase in thirst and feeling like you can’t drink enough water. Your body needs more water the faster the molecular spin occurs. You burn off liquid much quicker, and also dehydration sets in quickly from sweating with the intense body heat. Even as I write this my body feels on fire from the heat and the sweating is off the hook! Water, water and more water- preferably PH balanced water at 8.0% or higher. I will write more as we continue to move through. See the poll below this post to see what others are experiencing, and as always please share in the comments section what you are experiencing too. 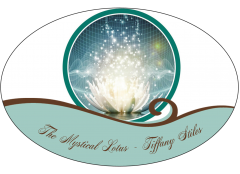 Tiffany-Stiles.com – The Mystical Lotus LLC © All Rights Reserved. Your generosity and kindness in donating to assist in expenses to run this website is greatly appreciated. There are zero ads that run on this site to generate revenue, and to make it more user friendly. All information is free to the public, and your subscription is free too! Your kindness makes a difference. Thank you! Namaste! Yes, Yes! As I was teaching a class on Mantra Yoga recently in a lovely air-conditioned room, I still felt extremely hot, and I was sweating regardless of the fact that I was wearing a loose-fitting summer dress. Some of my students have also been experiencing tremendous heat, anxiety, heart palpitations, aching muscles, and difficulty sleeping (both men and women). My highly intuitive ability (that I was born with) has also increased. I am quite clairsentient and clairaudient. These are profound times on this planet Earth. Thank you for your wonderful messages. They are truly awesome! Dr. Schavi M. Ali, B.A., M.A., Ph.D.